What's more relaxing - or exciting - than a Maine fishing trip while you're on vacation, on your honeymoon, or for a "guys' day out" that you'll talk about for years? And while it's fantastic to go out on a deep sea fishing charter in Maine with the guys, a family vacation can also be a great time to introduce your kids to the thrills of Maine fishing! Fortunately, Southern Maine offers you a wide variety of fishing experiences while you're here: you can fish from a kayak, from shore, the bridges, the river, freshwater, inshore, deep sea - or all of them! Southern Maine fishing (saltwater) generally occurs between late April and late November. Shad are usually the first to arrive sometime during the first two weeks of May. Striped bass can be here as early as the first of April, but they usually start to show up around the second week of May. Inshore, primetime for striped bass is from June through September. Bluefish are not quite as dependable as the stripers but usually show up in July and will continue to bite through early October. Deep sea Maine fishing is generally for cod, haddock, pollock, wolf fish, halibut and cusk. Summer not only brings the blues, but farther out at sea bluefin tuna and some excellent shark fishing can be had. 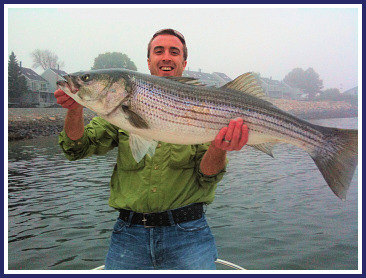 Fish Tale Charters (York, Captain Dave Gittins): Fly fishing for stripers, mackerel, and bluefish along the shoreline and scenic estuaries of Southern Maine and New Hampshire. Offshore fishing trips for bluefin tuna. Phone: 1-207-363-3874, or on the boat @ 1-207-450-4048. Email: fishtale@maineflyfishing.net. Bigger 'n Better Sportfishing Charter Boat (York, Captain Michael Sosik): Boat can be chartered for ground fishing, shark fishing, tuna fishing. 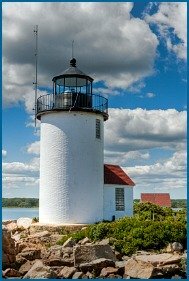 For the non-fisherman, scenic, romantic, lighthouse, and whale-watching trips are available. A requiem cruise provides a discreet, respectful, private setting for families or friends to fulfill the final request of a departed loved one. Phone: 1-800-526-8172 or 1-774-200-3020 (cell phone). Email: mfsosik@nemerchant.com. Shearwater Charters (York, Captain Bill Coite): Fish the York river and shorelines from Kittery to Ogunquit for striped bass, mackerel and bluefish, or the offshore waters for school bluefin tuna. Phone: 1-207-363-5324. Rip Tide Charters (York, Captain Dave Guerard): Rip Tide Charters, offers fly-fishing, light spinning tackle and live bait fishing for striped bass, bluefish and mackerel. Phone: 1-207-337-3608. Email: captdave@mainestriperfishing.com. GCove Charters (York, Captain Greg Brown): Shark and fishing charters, inshore full and half-day trips. Phone: 1-207-752-3420. Email: gcovecharters@maine.rr.com. Eldredge Bros. Fly Shop (York): Guided trips for striped bass. Fishing equipment rentals, including rods, reels and kayaks. Fish our rugged shoreline or scenic estuaries from a boat, float tube or by wading. Phone: 1-207-363-9269. AJ's Guide Service (Kittery, Captain Al Johnston): Striped bass and bluefish saltwater fishing charters in and around the Piscataqua River. Phone: 1-207-439-2517. Email: ajsguideservice@comcast.net. Seafari Charters (Kittery): Deep sea and inshore fishing trips, including shark and bluefin tuna trips. Phone: 1-207-439-5068. Email: info@seafaricharters.com. Big Fish Charters LLC (Kittery Point, Captain Dennis Carpenter): Charter boat fishing along the Maine and New Hampshire coast. Inshore fishing for striped bass, bluefish and mackerel. Deep sea fishing in Maine and New Hampshire for cod, haddock and pollock. Tuna fishing in season. Phone: 1-207-752-7019. Email: dcarpenter1@maine.rr.com. 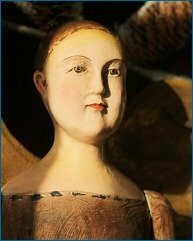 Ugly Anne (Ogunquit) - Deep sea fishing for cod, pollock, halibut, haddock, hake, cusk and wolffish. 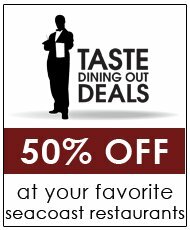 Phone: 207-646-7202 . Email: info@uglyanne.com. Bunny Clark (Ogunquit) - Mainly bottom fishing for cod, pollock, halibut, haddock, hake, cusk, redfish, monkfish and wolffish. Anglers may use bait or jigs. Phone: 1-207-646-2214 . Email: info@bunnyclark.com. Shoals Fly Fishing (Portsmouth, NH) - Fly and light tackle fishing for striped bass, bluefish and tuna. Maine and New Hampshire waters. www.shoalsflyfishing.com. Eldredge Bros. Fly Shop (York): Freshwater guided trips. Fish locally or farther north from a boat, float tube or by wading. Phone: 1-207-363-9269. The York river can make for some truly memorable Maine fishing. When the Route 1 bridge over the York river was replaced a few years ago, it was designed with fishing in mind; each side has a fishing platform. 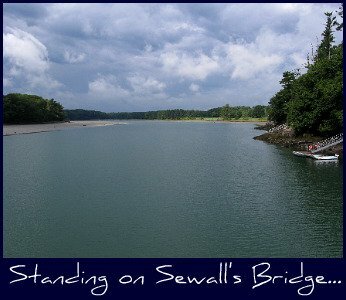 But for me, one of the most picturesque places in all of southern Maine to fish is Sewall's Bridge. 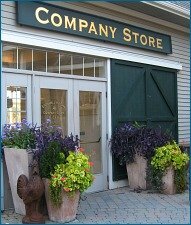 Wife going shopping over to the Kittery Outlets? No luck on the bridges? You might want to try fishing the river over at the Town Docks, too. Just head for the beginning of Harris Island Road, near the York Harbor Marina. Surfcasting in York? Try your luck for blues and stripers on the rocky southern end of Long Sands beach, or among the boulders along the Cliff Path adjacent to Harbor Beach! 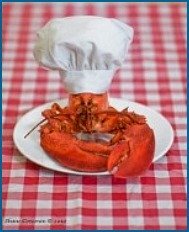 Like Inside York Maine Vacations on Facebook - News, Tips & More!